Tomorrow evening will certainly be a night to remember in Torrevieja and Orihuela Costa as hundreds of people will line the streets of the town to welcome their Majesties, the Kings of the Orient, Caspar, Melchior and Balthasar. In Orihuela Costa the Three Kings and their entourage will throw sweets and toys into the crowds as the colourful parade makes its way to Zenia Boulevard commercial centre. 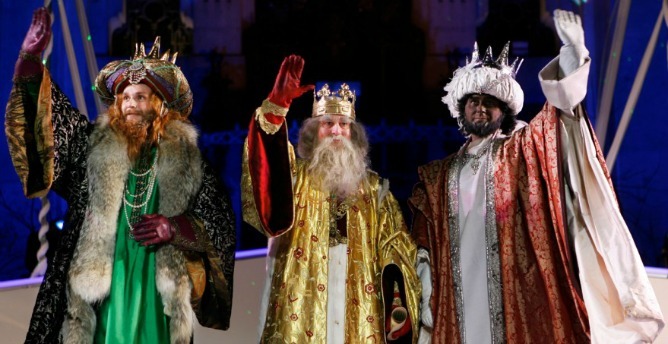 Leaving the Town Hall in Playa Flamenca at 5 pm, the Kings will parade along calle Pablo Picasso and calle Nicolás de Bussi towards Zenia Boulevard, where they will share some time with the children. After the parade, the children in both towns will for home with their parents to feast on the sweets, deserts and the traditional, round, Spanish Christmas cake, Roscón de Reyes.